Part photojournalism, part humanitarian initiative, this project will share an intimate perspective into one of the most distinctive frontier cultures in modern Africa. Fulani herders persist peacefully today in a turbulent African landscape, but their unique lifestyle and rich culture has never been documented in web 2.0. Despite ample drama on the African stage this exceptional tribe thrives largely without conflict, and intimate reports of this paradox are unprecedented. Christoph Herby, a seasoned American explorer, and Guida Belco, a multilingual Fulani, plan to traverse the African continent, lodging in Fulani camps and intimately documenting the life of this remarkable culture. Using a blog format with interactive media and video, this project invites global participation and shares an insight into one of Africa’s least understood cultures. 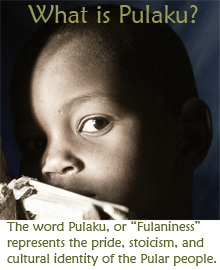 The word Pulaku, or “Fulaniness”, represents the pride, stoicism, and cultural identity of the Fula people. This documentary endeavor arises from an improbable friendship between an American Peace Corps volunteer and an exceptional Fulani. 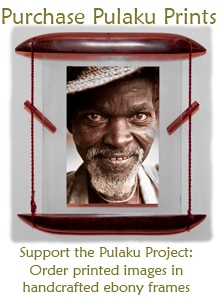 Christoph Herby and Guida Belco plan a unique overland journey through the heart of Fula country. Crossing vast pasturelands by motorcycle and staying in Fula encampments, they aim to give a voice to a culture facing a diminishing frontier for survival. The two share a thirst for exploring their world and merge an aptitude for media and photography with the savvy of a proud educated Fulani. Their unique partnership enables intimate engagement with this flamboyant, yet reticent, culture.